Our activities take part of the UMR1027 (INSERM-UNIVERSITY PAUL SABATIER Toulouse III joint research unit) activities, and more precisely of the “Pharmacoepidemiology, assessment of drug utilisation and drug safety” unit activities (managed by Maryse Lapeyre-Mestre). Our offices are located in the Toulouse Regional Pharmacovigilance Centre. 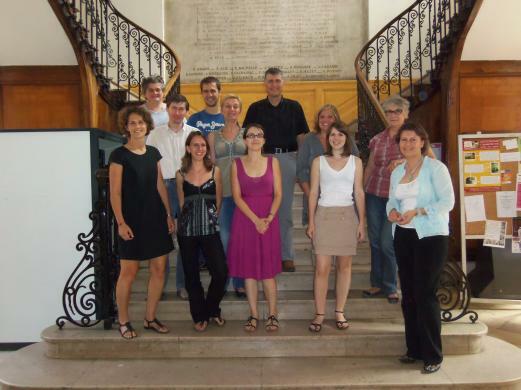 We also work for the “Medicines, pregnancy and lactation” unit attached to the Toulouse clinical pharmacology department managed by Professor Jean-Louis Montastruc. Dr Christine DAMASE-MICHEL, Lecturer, staff physician, manager of "Medicines, pregnancy and lactation" unit.